Tonight we went to Solsiden a fish and shellfish restaurant that my wife had recommended to me after having tried last year. The restaurant only opens in summer time and I couldn't make it last year. 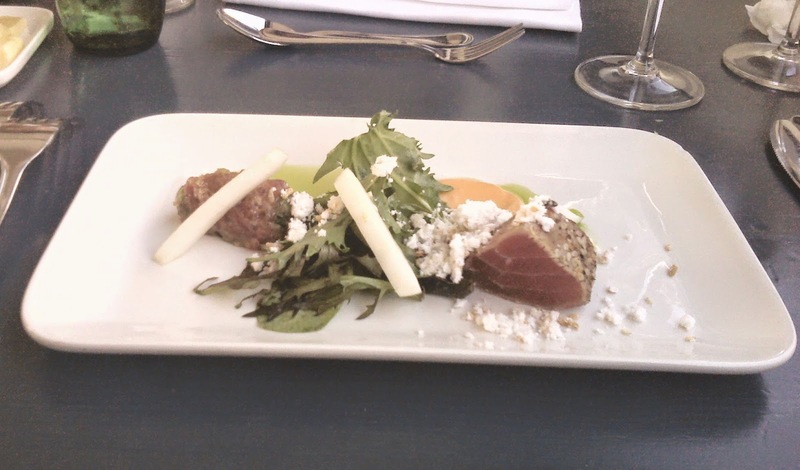 The starter was tuna tataki. 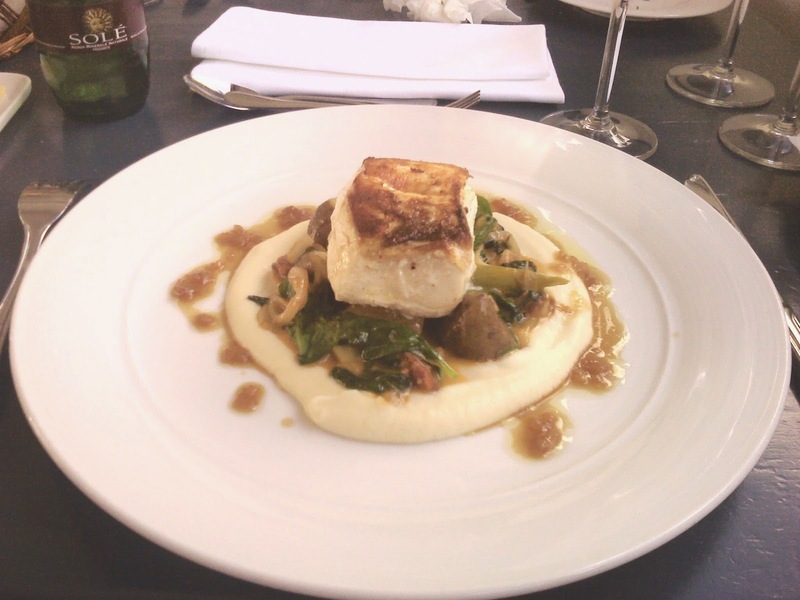 The main dish was grilled halibut with some asparagus and other vegetables. 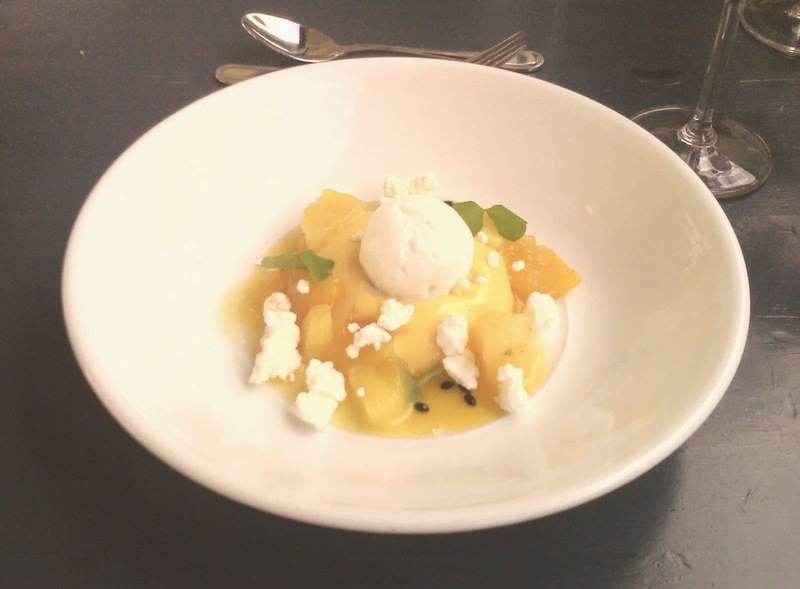 And the dessert was coconuts ice cream with some fruits and a bit of merengue. My wife enjoyed the 3 dishes and thought they all tasted very good. I had myself some dampened mussels (about 200 NOK). They tasted good and it was a bit original with a bit of chili in the sauce. For our son, we had ordered the children menu (about 150 NOK). It included a small bag with some games (stickers, 10 differences, etc...) so that he could keep himself busy before the meal. I liked the idea. Also the dish was grilled salmon with some kind of risotto. It tasted good especially the fish and my son enjoyed it a lot. All in all, the food tasted good, the service was nice and the view was beautiful. A nice evening!